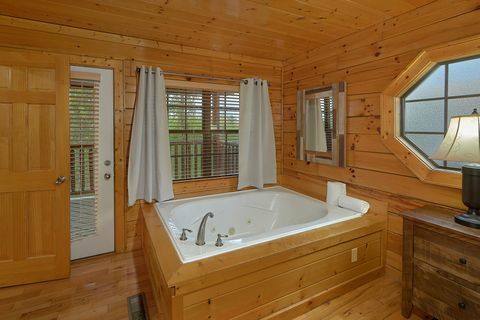 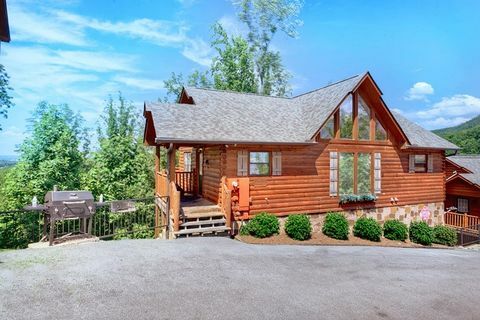 "Knockin' On Heaven's Door," a beautiful Hidden Springs Resort cabin for rent in Pigeon Forge, rests next to Dollywood and Dollywood Splash Country Waterpark. 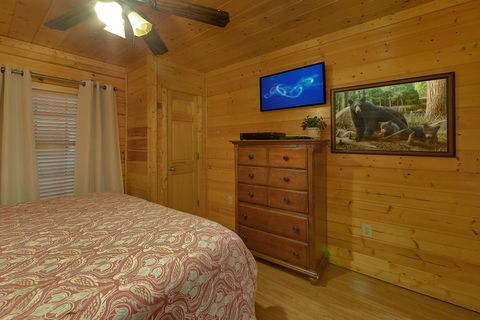 Enjoy easy access to either park along with abundant attractions lining the Pigeon Forge Parkway from your comfortable Smoky Mountain Resort cabin. 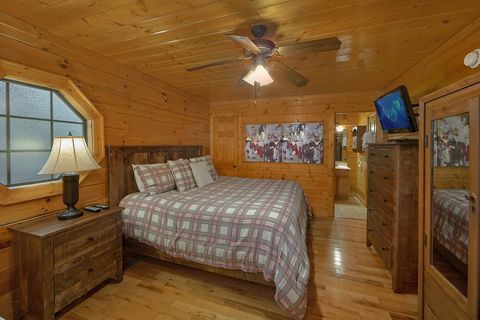 Your cabin rests in a wooded setting with breathtaking views of the mountain forests and plenty of spots to enjoy the scenery. 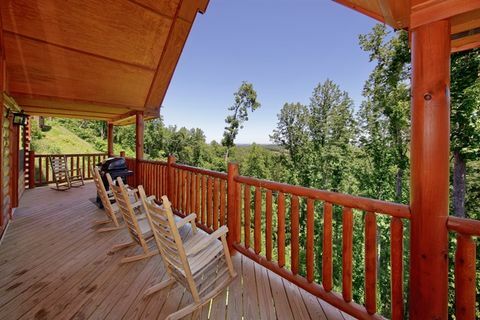 Two covered decks run the length of your cabin rental with plenty seating and a family-size hot tub to enjoy the great outdoors. 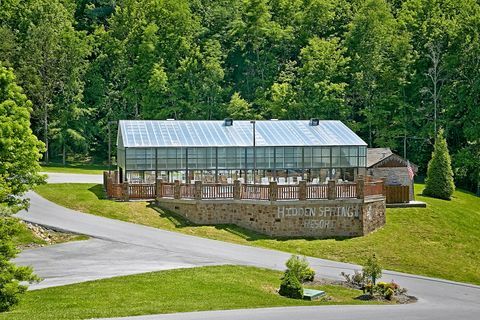 Enjoy year-round family fun at the indoor Hidden Springs Resort pool. 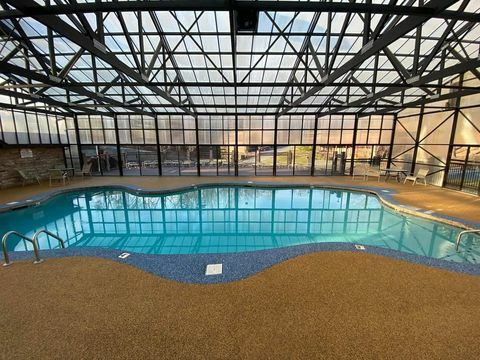 In the summer, work on your tan at the outdoor resort pool. 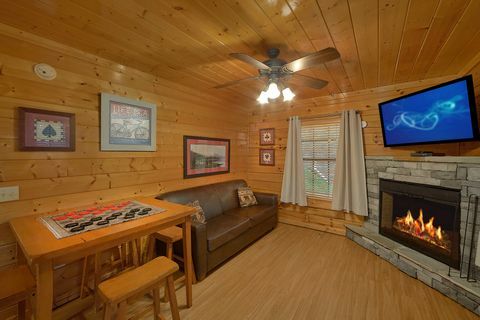 Both pools are conveniently within walking distance from your Smoky Mountain resort cabin. 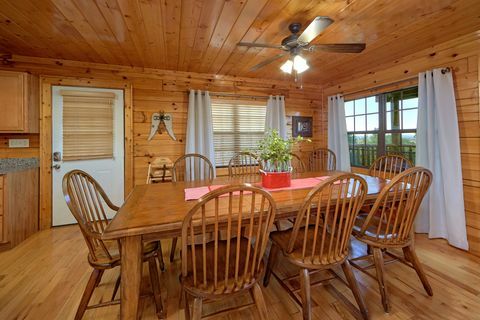 After a day packed with adventure, the group is sure to be hungry. 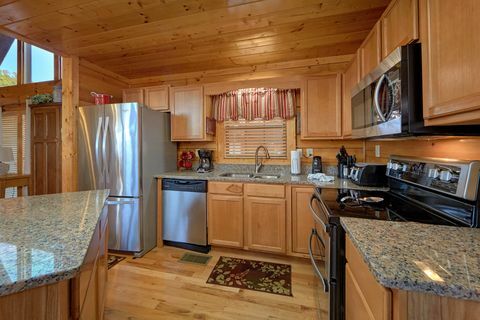 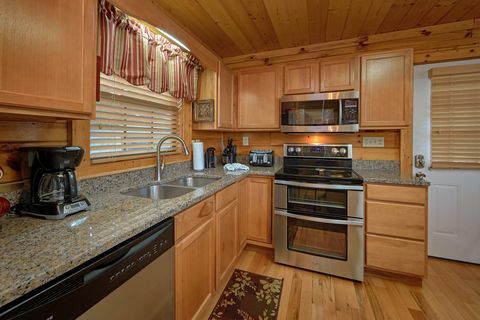 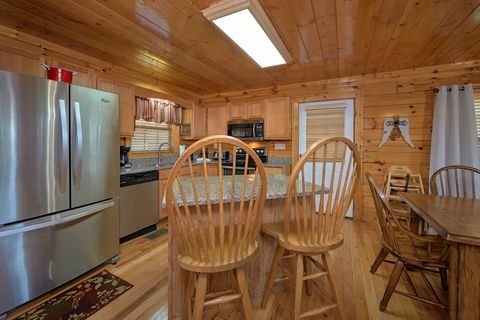 You can always visit nearby Pigeon Forge restaurants or enjoy family meals easily prepared in the spacious kitchen or on one of the two charcoal grills. 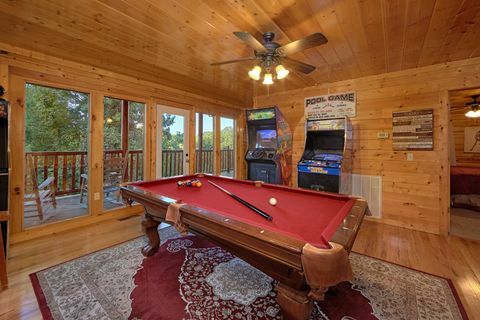 Continue the family's fun at your cabin's game room with a pool table, stand-up arcade game featuring over 100 popular games, and a jukebox. 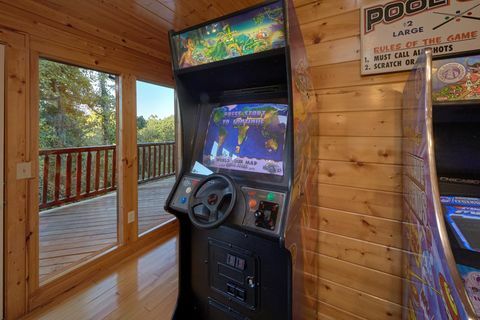 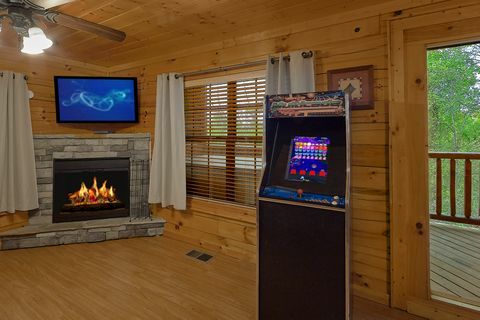 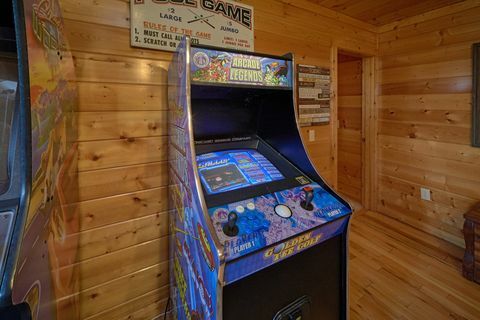 Your cabin also provides 2 more stand-up arcade games for you to enjoy during your stay for even more fun. 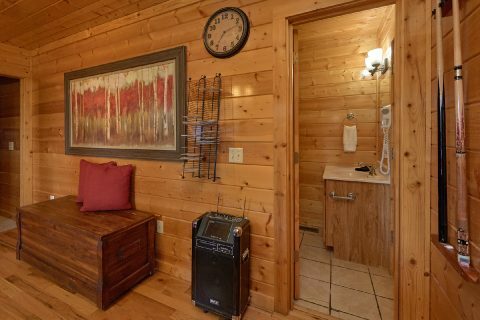 The cabin's wireless Internet will let you stay in touch with friends back home with plenty of pictures and status updates. 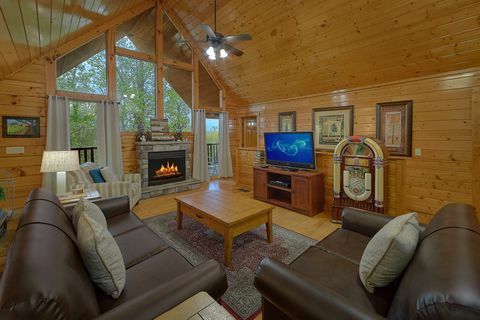 Additional features of your spacious Hidden Springs Resort cabin for rent are cathedral ceilings, two fireplaces, and a high definition television with satellite, Netflix, and a Blu-Ray DVD player. 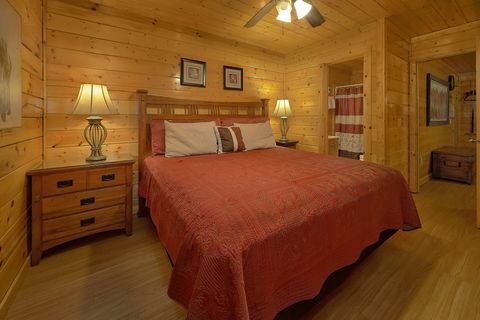 When it's time to hit the hay, all 4 bedrooms feature king-size beds and satellite televisions for your comfort. 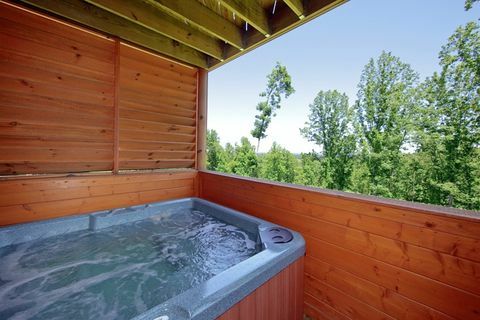 The master suite offers an in-room jacuzzi for added relaxation. 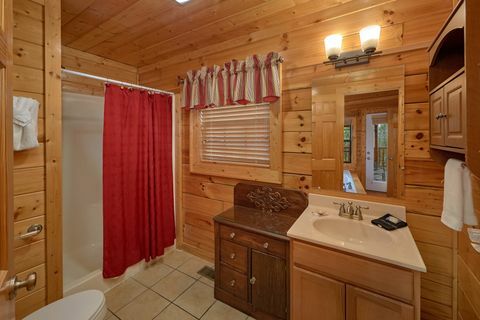 All bathrooms feature hair dryers for your convenience, and you can pack lighter with the cabin's available washer/dryer. 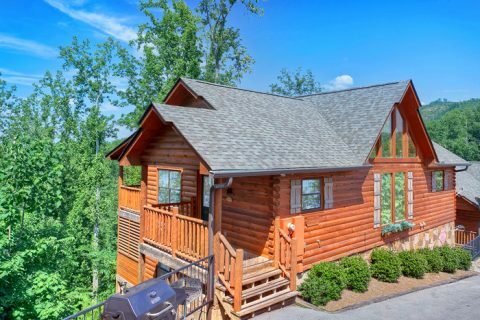 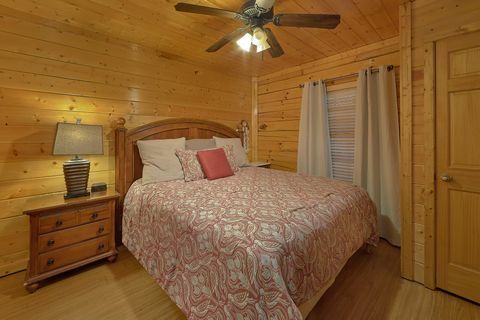 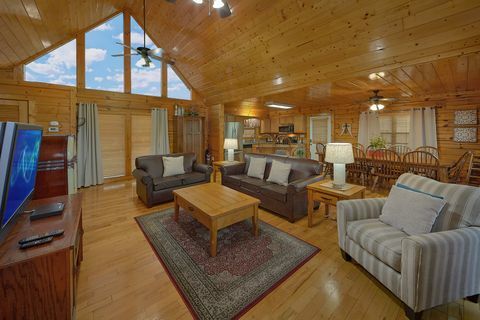 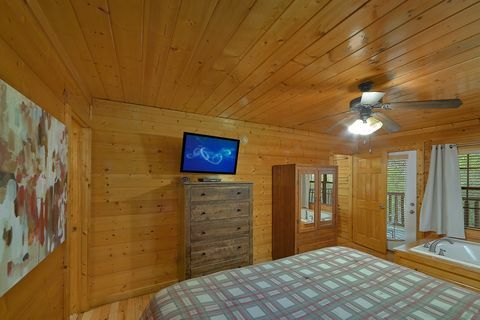 Fulfill your family's Smoky Mountain resort vacation dreams when you book this Hidden Springs Resort cabin or another one of our cabin rentals in the Smoky Mountains for rent in Pigeon Forge. 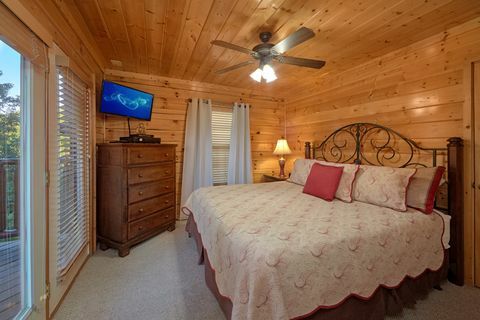 Book online and get an immediate Online Cabin Discount!